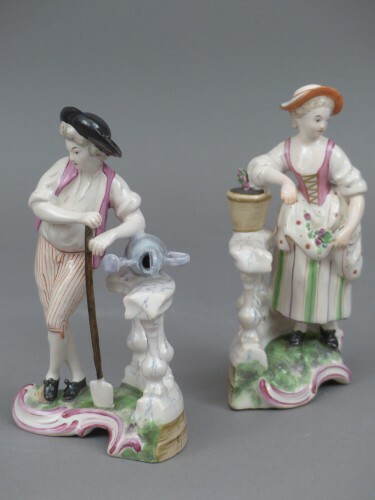 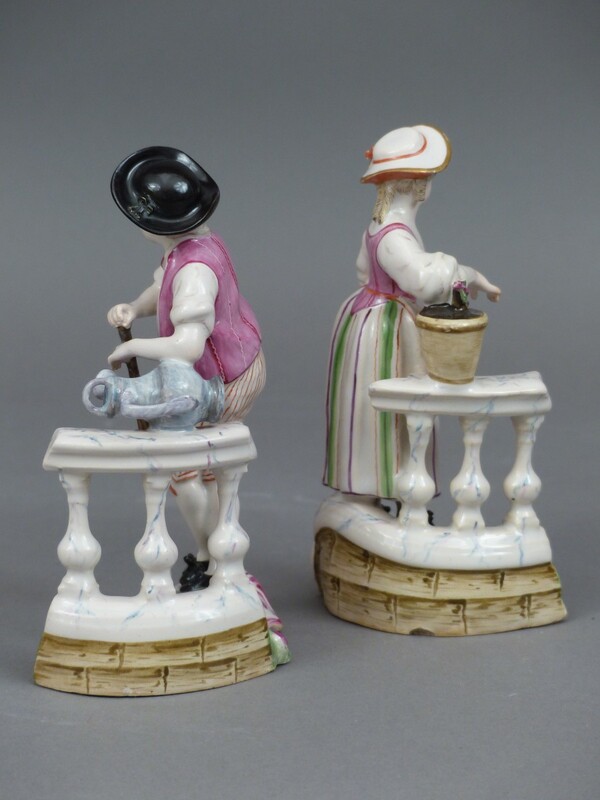 A pair of statuettes earthenware Niderviller representing a couple of gardeners called "à la balustrade". 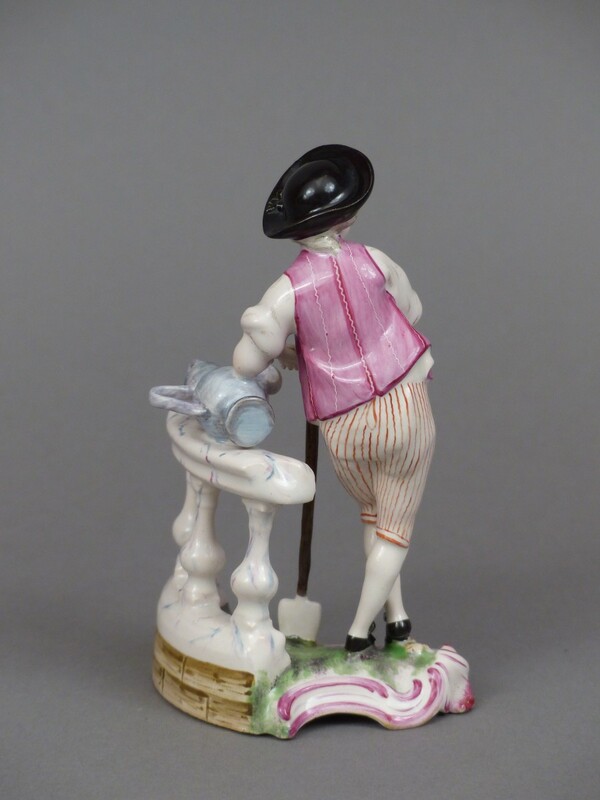 The gardener is leaning on a pot of flowers, the gardener on a watering can. 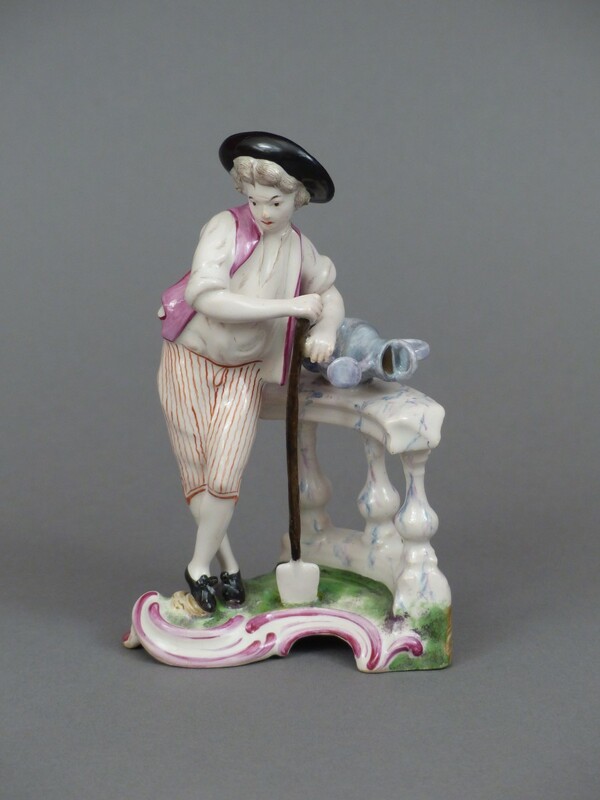 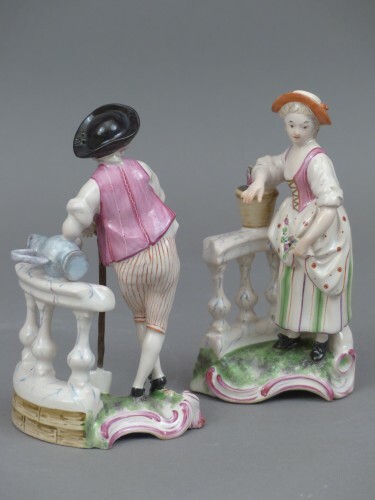 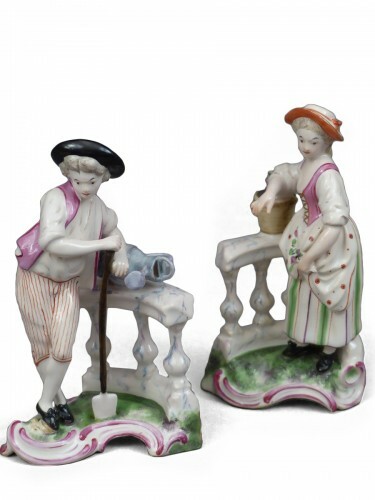 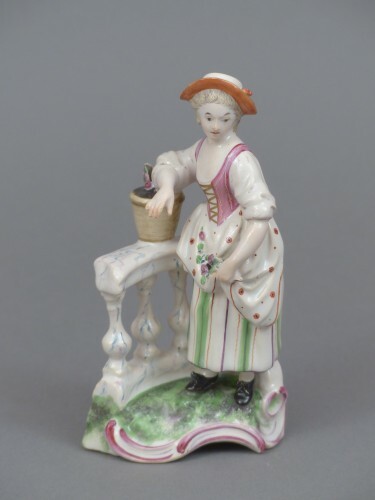 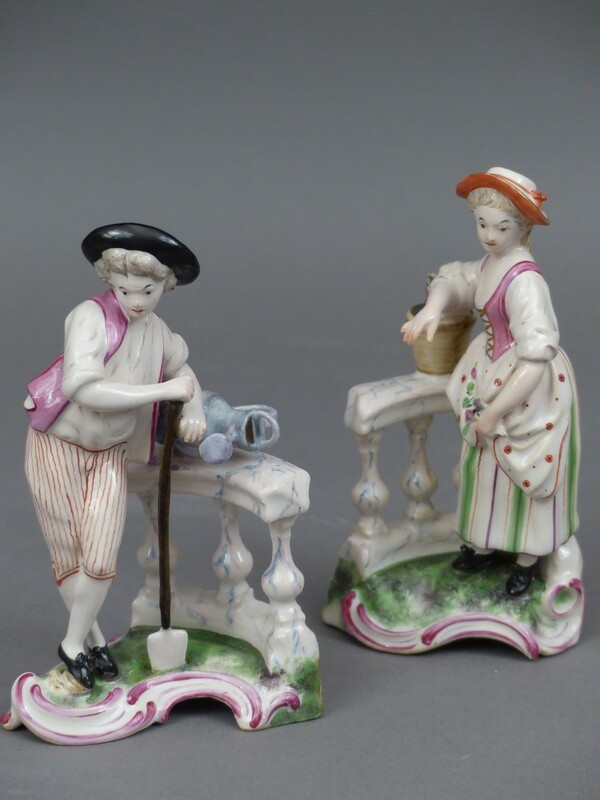 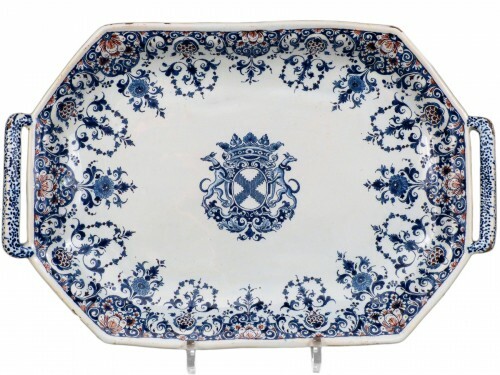 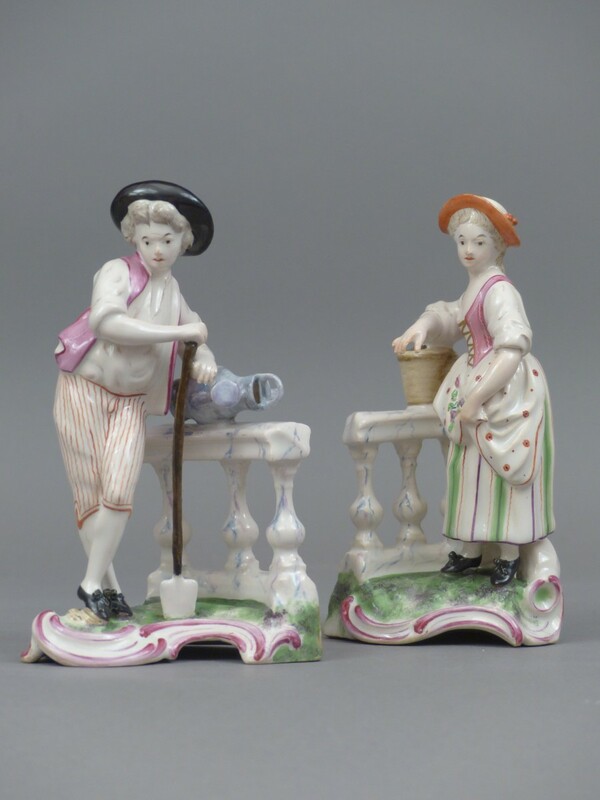 These beautiful statuettes faience Niderviller, part of the series of peasant life, conducted under the direction of the sculptor Philippe Arnold from 1759. 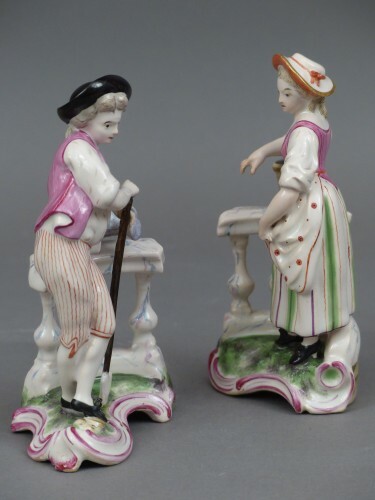 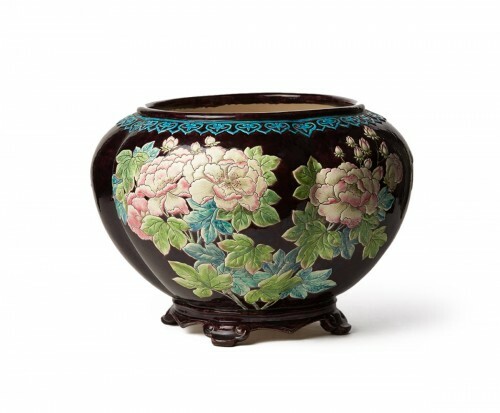 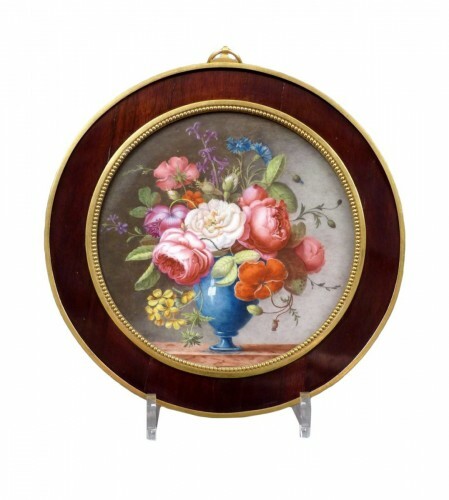 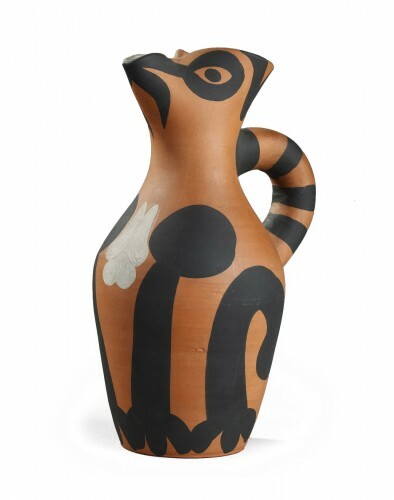 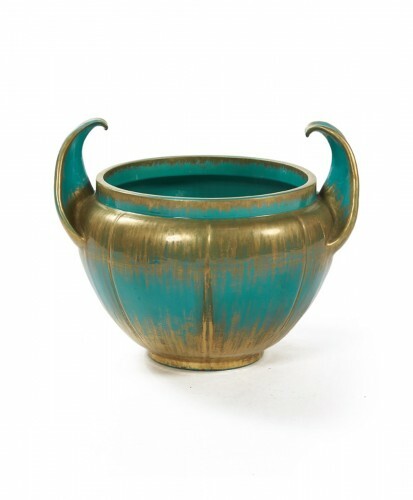 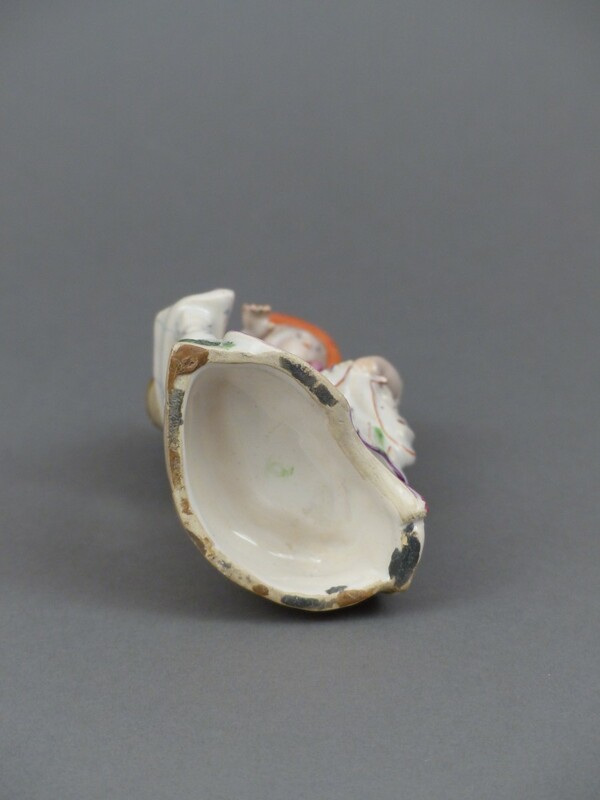 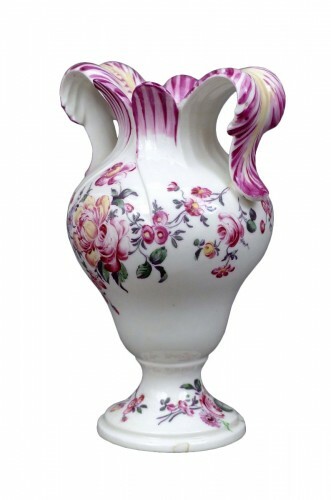 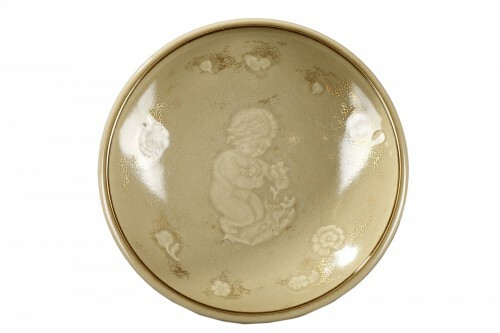 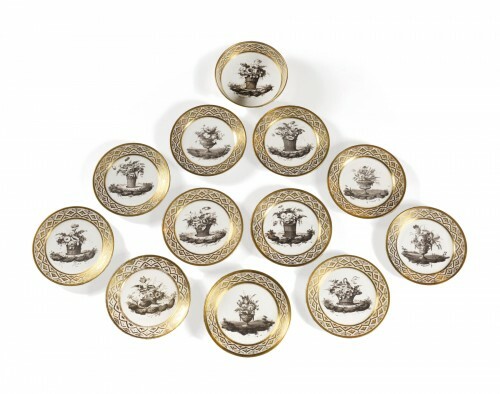 A similar pair was kept in the Papillon collection, see sales catalog of March 10, 1919.